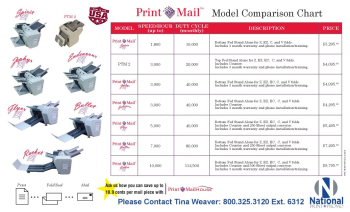 National Print + Promo is able to facilitate your financial requirements as it relates to checks. 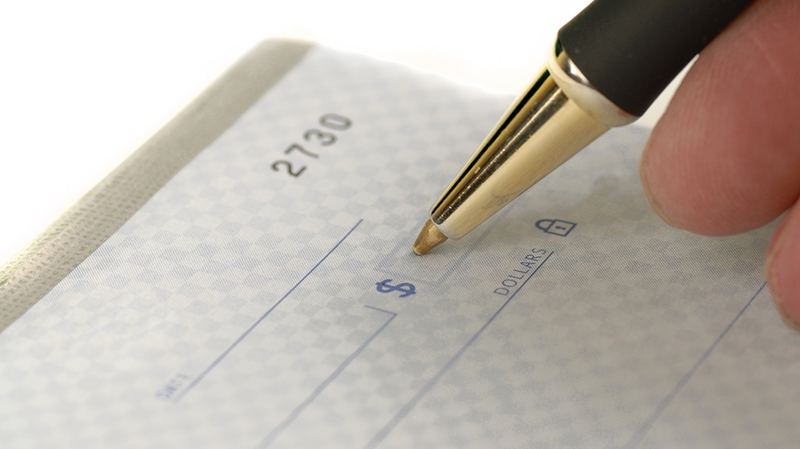 If your organization needs 6 boxes or 600,000 boxes of checks, we can fulfill your requirements. Storing your checks in our secure facilities ensure your sensitive data is not compromised. Short run, long run, full color or one color, maximize the value and choose National Print + Promo as your single source check solution provider. Our premier checks are litho-printed and are of the highest quality. Each format has been carefully designed to be 100% compatible with your software program. You can choose from at least 17 ink colors and 16 background patterns and we will print a logo on your checks at no extra charge. To view these checks, click here. Our checks are printed in various national manufacturing plants and are shipped within 5-7 working days from receipt of the order. We are pleased to offer NULO Void security stock a high-security stock that alleviates unwanted duplication and manipulation of your checks. 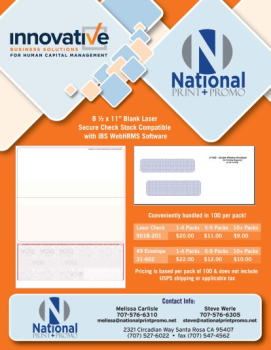 It features Optical Deterrent Technology™, a hidden word technology that performs second to none and is also available in blank stock to accommodate users of Create-A-Check Software. To view these checks, click here. 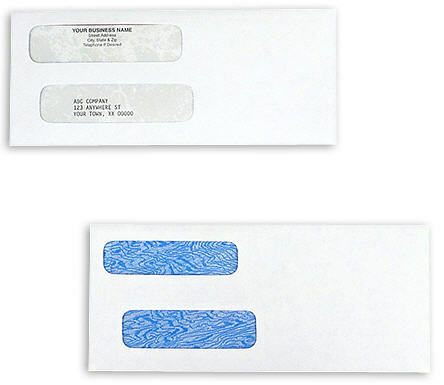 Double window envelopes are great for showing both the return and addressee's address. Available for continuous and laser checks. The inside is tinted for added security.